Condolence: Sorry to hear of your mom's passing, JoAnn ..... my sympathy to you, Bob and Geoff. Cookie was a sweet lady, always. Please accept our deepest sympathy for the loss of your mom and Nana. It was truly a privilege to have known Cookie. 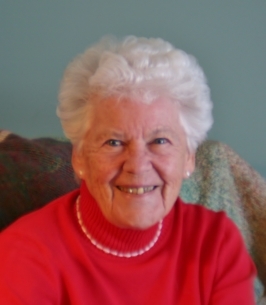 She was such a vibrant woman who had a passion for life, gardening and golf. It is our hope that you have many happy memories to bring you comfort at this time. Condolence: Thinking of you JoAnn and Bob during this difficult time. Your mom sounds like a wonderful person and had an amazing life. Treasure your memories. Condolence: Our most sincere condolences Joanne, Bob & Geoff. It was a pleasure to have known your Mom/Grandma. A wonderful and gracious lady. Condolence: Thinking of you at this sad time. Condolence: My thoughts and prayers are with you - JoAnn, Bob and Geoffrey as you mourn the loss of your precious Mom and Grandmother. It sounds as if she was a very special lady ! Hopefully, the special memories that you treasure will bring you strength during this difficult time.